Psych rock! sweaty garage punk and rock and roll! 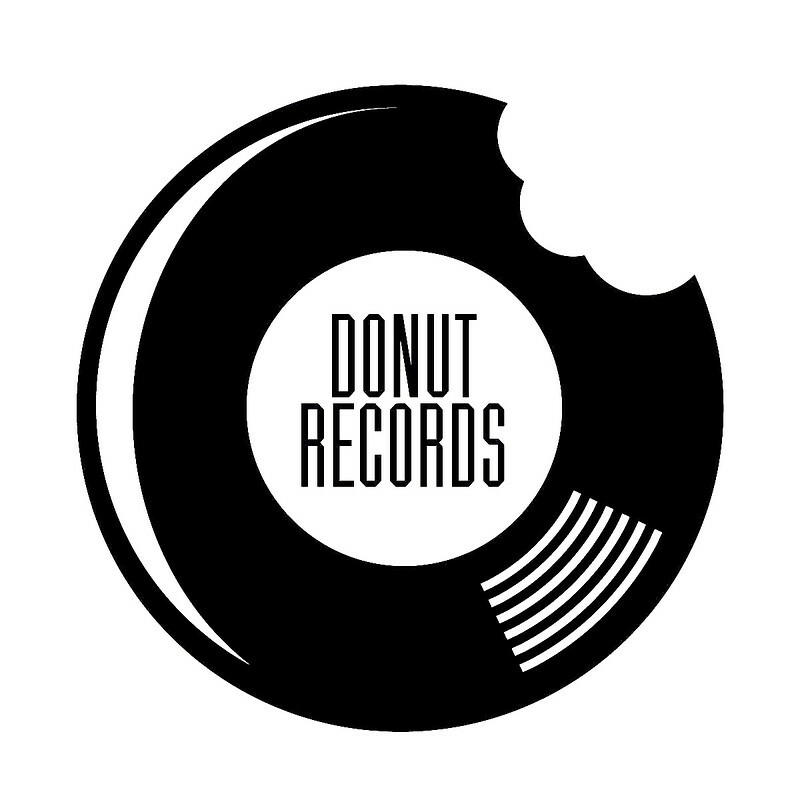 Donut Records are proud to host Bristol psychedelic dons 'RAPTOR' for the bands latest Album launch party! 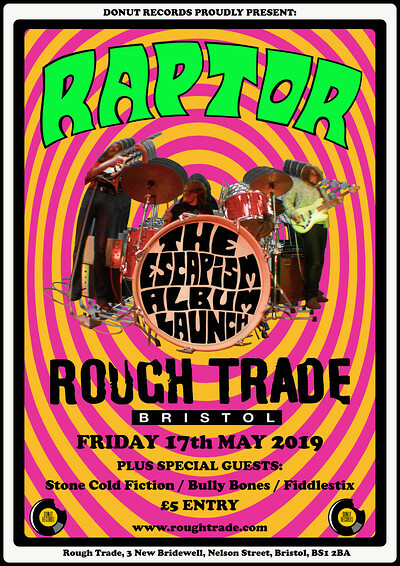 plus amazing support guests and Djs at one of Bristol most beloved live venues Rough Trade! a fast and raw garage/punk outfit who will get a little sweaty action in to start the night ! 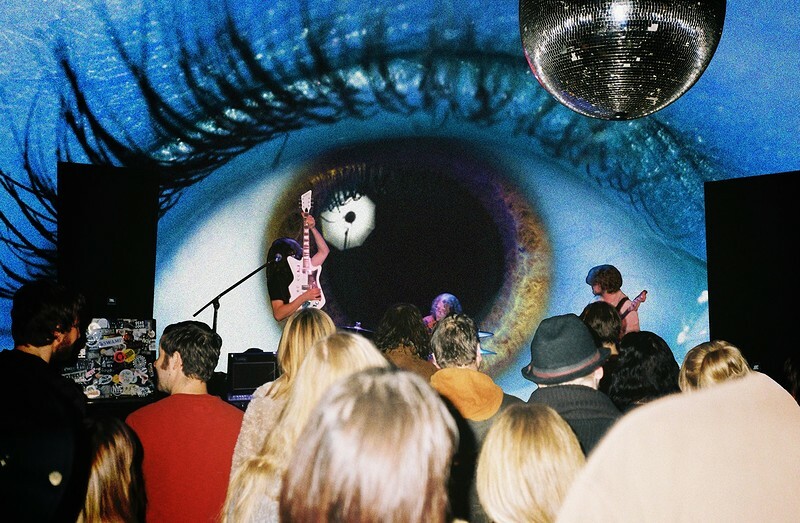 "Bullybones remain the most exciting underground UK band making brand-new-retro rock’n’roll and still scratching at the doors of the Music Bizness"
Formed in Bristol 2015, Stone Cold Fiction create an ever-evolving sound, best described as loud psych rock. The trio, known for taking the DIY approach, self-manage and run their own label 'Don't Tell Anyone Records'. Following the success of 2017's self-titled EP and a relocate to Brighton, April saw the band work with producer Marc Jones (The Heavy, Kill it Kid) with the release of new single 'Two Step'. This led the band to a headline tour of the UK, along with performances at Dot to Dot and Bristol Harbour Festival, both venues reaching capacity during the band’s performance. Selling out the launch show in Bath, Stone Cold Fiction released single 'Closet Psycho' in the thick of festival season, before headlining two sold-out shows in Luxembourg. The band is currently in studio hibernation recording their debut album.